"The name's Bond. James Bond." In his classic pose, it's Sean Connery as James Bond. 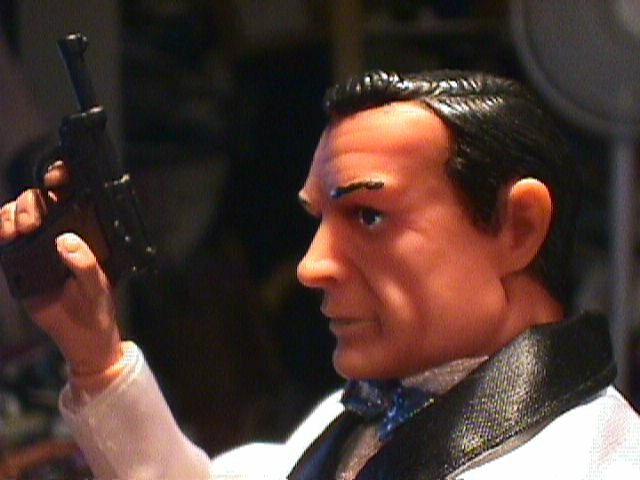 He's got a license to kill and Ken's Tuxedo. On Her Majesty's Secret Service, Bond risks it all, and wins! 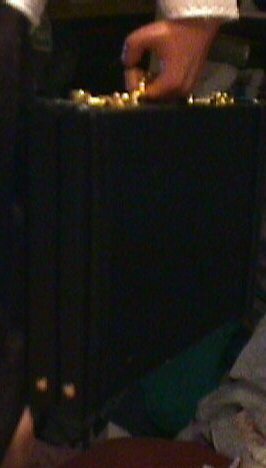 His briefcase will at some point contain some sort of collapsible sniper-rifle. 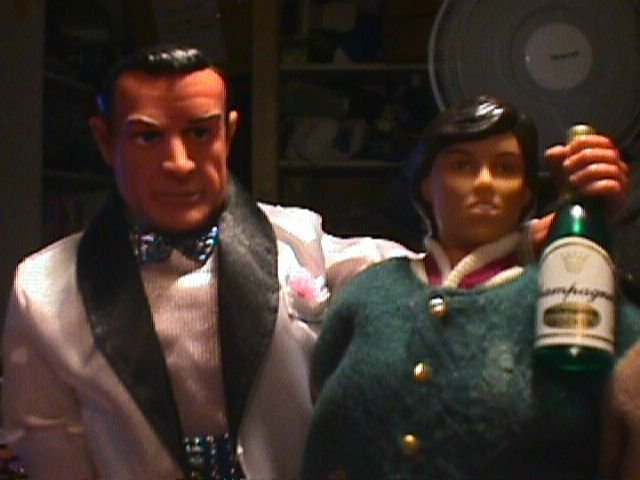 After the mission, Bond settles down for a night of pleasure with GI Jane, and champagne. 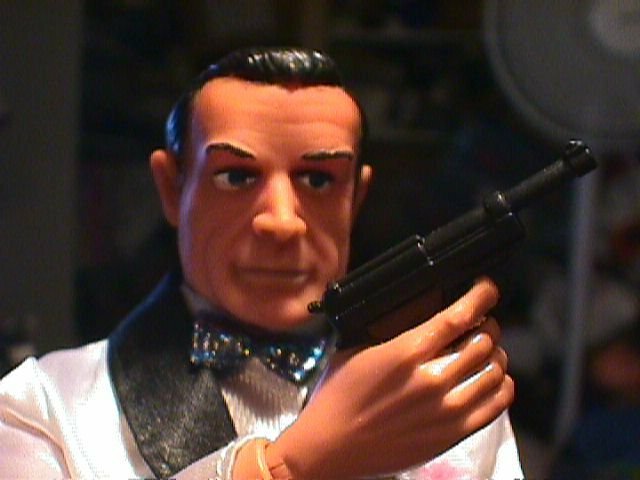 This is the head from a 1965 Ideal 12" James Bond (The same head as the famous AC Gilbert Bond) on an Ultimate Soldier body. The gun's from an Ultimate Soldier WWII German Weapons set, The Champagne is a wedding party favor. The tux is Ken's with shoes and socks from the CA Green Hornet. He looks great in Barbie's Porsche Boxter, by the way, or duking it out with the evil Doctor Palpatine!